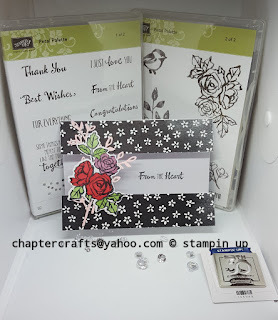 Petal palette window card Stampin up! Hello and welcome back to Chapter Crafts. Today I have made a very simple window card using the petPe Palette bundle from the spring/ summer catalogue from Stampin up! 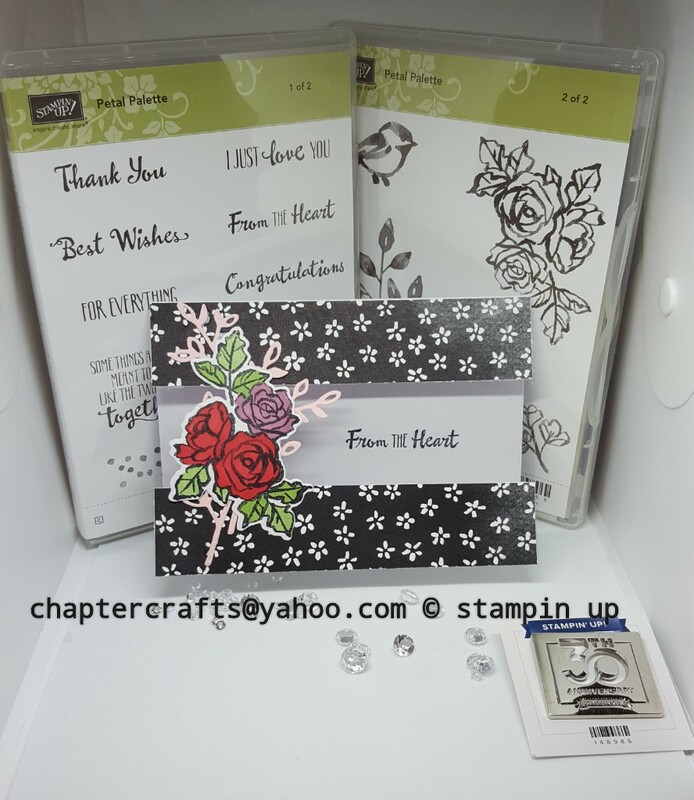 First you need whisper white card stock cut to 5 7\8" x 5 3\8" and score @ 4 1\8"
Petal passion designer series paper cut at two peices at 5 7\8" x 1 1\4"
Acetate cut to 5 7\8" x 4 1\8"
Stick to top section of the card base. Stick 1 peice of DSP on top of the acetate at the top and bottom. Labels: Petal Palette bundle window card.